Shell Caprinus XR Oils are Premium Grade Heavy Duty Engine Oils, intended mainly for railroad diesel engines of North American origin ,particularly those manufactured by General Electric and General Motors Electro-Motive Division(EMD). Shell Caprinus XR oils use the latest, low-chlorine additive technology which offers both environmental benefits and improved performance. Shell Caprinus XR oils do not contain Zinc and are approved for use by GM-EMD for their engine fitted with silver piston-pin bearings and by GE for their latest locomotives. The performance of Shell Caprinus XR has been demonstrated in highly rated North American railroad operations subject to the most severe operating conditions. Shell Caprinus XR oils have excellent detergency and properties. They have a carefully balanced combination of detergency and dispersancy ensuring outstanding engine cleanliness. They also have a good protection against corrosion caused by the acidic products of combustion. Caprinus XR oils maintain a protective oil film between pistons and their rings and cylinder walls, even under high operating temperatures and pressures. With the use of low-chlorine anti-wear additives it ensures protection of valve trains and other parts. Background -Oil Condition Monitoring is performed on critical equipment at the Arcelor Mittal Steel Indiana Harbor (East & West) facility in order to reduce / eliminate failures and costly secondary damages that can occur. The Shell Lube Analyst service further assists in reducing unscheduled downtime and costly overtime associated with sudden failures. 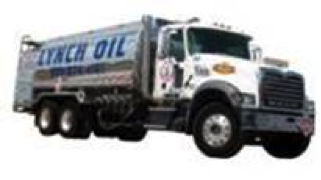 For mobile fleet, scheduled sampling of engine oil and coolant is critical to ensure availability of equipment. Locomotives at Indiana Harbor West are included in the program. Findings– Locomotive 1013 is powered by a EMD Engine lubricated with Shell Caprinus XR-40 and is tested on a hourly (250 hours) basis for viscosity, fuel dilution, additive and wear elements, TBN, fuel dilution and coolant contamination. The full tests results for the sample (our reference 3426) are given in the Appendix. The results showed high levels of Fe, Cu and Pb, all indicative of bearing wear, together with excessive levels of Na, K, indicative of contamination of the engine oil by glycol antifreeze. On the basis of this data, it was recommended to bring the engine into the shop for inspection at which time the engine was found to have a coolant leak into the engine. By addressing this issue, site avoided the catastrophic engine failure ($150,000) and need for the engine rebuild, which including labor (at a rate of $90/hr for 300 hrs) was agreed to a total cost avoidance of $150,000. 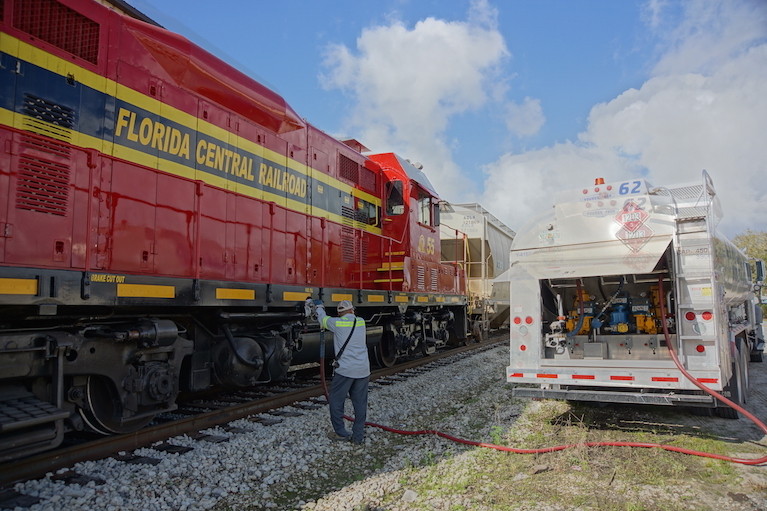 Locomotive 1006 is powered by a EMD Engine lubricated with Shell Caprinus XR-40 and is tested on a hourly (250 hours)basis for viscosity, fuel dilution, additive and wear elements, TBN, fuel dilution and coolant contamination. The full tests results for the sample, our reference 2775 are given in the Appendix. The results showed high levels of Fe, Cu and Pb, Cr, all indicative of engine wear, together with a fuel dilution of 7.2%. On the basis of this data, it was recommended to bring the engine into the shop for inspection at which time the engine was found to have two fuel leaks into the engine. By addressing this issue, site avoided the catastrophic engine failure ($160,000) and need for the engine rebuild, which including labor (at a rate of $90/hr for 300 hrs) was agreed to a total cost avoidance of $160,000. The predictive use of oil condition monitoring has resulted in cost avoidance and catastrophic equipment failure Locomotives 1013 & 1006. In total over $310,000.00 in cost savings have been achieved. Cost savings were presented at quarterly review meetings and agreed to by Arcelor Mittal Corporate Purchasing personnel. At these meeting, costs savings were reviewed by Senior Division Manager and were agreed to. In addition, training will be scheduled for the maintenance staff at Indiana Harbor East Mobile Equipment Shop. The training will include the importance and functions of antifreeze and supplemental coolant additives.